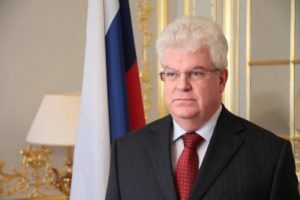 In an interview with Deutsche Wirtschafts Nachrichten, the permanent representative of the Russian Federation to the EU, Ambassador Vladimir Chizhov, analyzes the background of the diplomatic crisis between Russia and the European Union. He warns that a lasting division of the continent will further weaken Europe in a world of increasing competition. Regarding EU-joint defense operations as outlined by former EU-commissioner Michel Barnier in an DWN-exclusive Chizhov explained the Russian view on this new initiative. Deutsche Wirtschafts Nachrichten: Since the outbreak of the Ukrainian crisis the Russia-EU relations have deteriorated considerably. Could you explain to our readers the Russian point of view? How came the crisis about? And could you put it into a larger geopolitical context? Vladimir Chizhov: Russia has left no stone unturned in its push to build a stable and mutually beneficial relationship with the European Union. On December 1st we celebrated the 20th anniversary of the entry into force of the Russia-EU Partnership and Cooperation Agreement. Even today this agreement continues to provide a solid legal bedrock for our cooperation. Immense effort has gone into improving trade and investment ties between our countries, while making sure that they are backed up with a manifold institutional structure of political and sectoral dialogues. Our relationship rapidly evolved over the years, and this benefitted millions of people and households in Russia and across the EU. The Ukrainian crisis caught us in the midst of work on a number of potentially game-changing files, including negotiations on a New Basic Agreement, visa liberalisation, migration, crisis management, etc. The Ukrainian crisis, in our view, did not originate in the events, which unfolded after the unconstitutional coup d’etat in Kiev in 2014, or even in 2013, when ahead of the “Eastern Partnership” summit in Vilnius our EU partners chose to put Ukraine before a stark black-and-white choice between Russia and the West. The roots of the current predicament go far deeper. Unfortunately, over the preceding period we had not been successful in constructing, in line with the high post-Cold-war ambition, a genuinely united European continent, free from dividing lines and “zero sum” thinking. 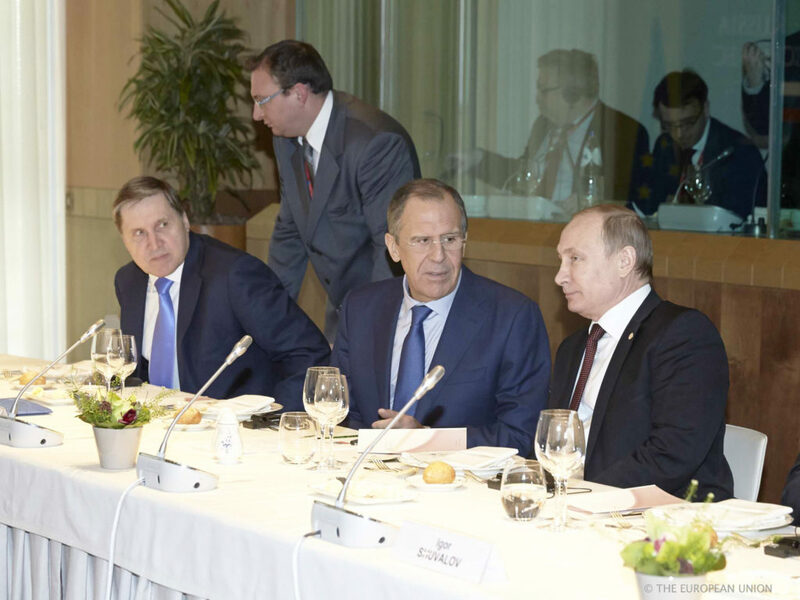 Many Russian initiatives, intended to harmonise integration processes, assure indivisible security and establish a single economic and humanitarian space from Lisbon to Vladivostok, had not been given due consideration. Remarkably, back in 2013, when there was a chance to avert a spiral of escalation, the EU shot down the conciliatory idea, proposed by the then Ukrainian government, to hold trilateral EU-Ukraine-Russia consultations on how to align provisions of the EU-Ukraine Association Agreement with the regional normative framework in the area of trade. As a result of these misguided policies and actions important channels of dialogue were frozen, dividing lines across Europe redrawn and numerous economic opportunities squandered. Four years down the road we are a far cry from the heyday of Russia-EU “strategic partnership”. The EU has chosen, erroneously in my view, to link the normalisation of the relationship with the implementation of the Minsk agreements, which are being flouted by the Ukrainian authorities, as everyone knows by now and even the Kiev government itself freely admits. Nevertheless, it seems that Brussels is slowly rediscovering the value of dialogue with Russia. Mutual trade has seen a sharp rebound this year, albeit after a significant drop. Some previously suspended strands of political dialogue are coming back to life. And this is only natural. As close neighbours, our countries not only enjoy the benefits of economic interdependence but also face similar challenges, including international terrorism, organised crime and proliferation risks. This leaves us little choice but to continue, despite all odds, to pragmatically search for avenues of mutually beneficial cooperation. Obviously, for this to happen, both sides need to treat each other as equals, demonstrate goodwill, consideration and respect for each other’s interests. Deutsche Wirtschafts Nachrichten: Which would be the Russian approach to secure peace and security in Europe? Vladimir Chizhov: For decades Russia has been by far the most ardent supporter of constructing a comprehensive security architecture for the whole of Europe. This, we believed, was a duty of the international community following the end of the bipolar world order and the divisions it brought to our continent. With this in mind we worked to further pan-European organisations like the OSCE and the Council of Europe, update continent-wide arms control regimes and propose legally binding solutions that would guarantee indivisible security for the European family from Lisbon to Vladivostok. Thanks to our efforts the logic of not entrenching one’s own security at the other’s expense lies at the heart of Russia-EU bilateral documents, including the 2005 Roadmap towards a Common Space of Cooperation on External Security. It seems, unfortunately, that not everyone shared our belief of the advantages of living in a “common European house”. In the 1990s NATO’s decision to engage in an eastward expansion, taken in violation of assurances we had received from key Western capitals, laid a ticking time bomb underneath the European security framework. Today the Alliance has chosen to exacerbate this mistake. On spurious grounds NATO, including German military assets, have been deployed in the direct vicinity of Russian borders, invoking uneasy historical parallels. At the same time the US continues with its plans to construct a missile-defence system on European soil, impairing global strategic stability in the process. Make no mistake: this course of action will not make the citizens of our countries, East or West, any safer. If anything, it will serve to further fracture European security and impair global strategic stability. Thus, our continent will be left divided, insecure and, consequently, less relevant in a world of mounting competition. This is not the way to go. Deutsche Wirtschafts Nachrichten: What are your thoughts on the European defense partnership PESCO? Vladimir Chizhov: We are watching EU integration efforts in the area of defence with due interest and attention. Relevant decisions have recently been formalised at EU level. There is now a need to see how they will be followed through by EU Member-States, which retain core competences in this area. On a general note Russia has been consistent in its view that the EU can play an important role in world affairs, if it acts responsibly and, above all, independently, particularly in terms of its decision-making, while upholding the UN Charter and international law. The EU High Representative Federica Mogherini recently stated something to the same effect – that she is “not working on the militarisation” of the EU and that the aim is rather to strengthen the EU’s autonomous capacity to provide global stability. Whatever the objective, the EU should be mindful to fully respect the key principles underlying the European security architecture, including the indivisibility of security and the commitment of OSCE participating States not to enhance their security at the expense of the security of others. In short, new military projects should not lead to the creation of new dividing lines across our shared continent. Deutsche Wirtschafts Nachrichten: Do you think that prolonged diplomatic tensions between Russia and the EU could hinder economic exchange in the long run and hamper the construction of the Nord Stream 2 pipeline? 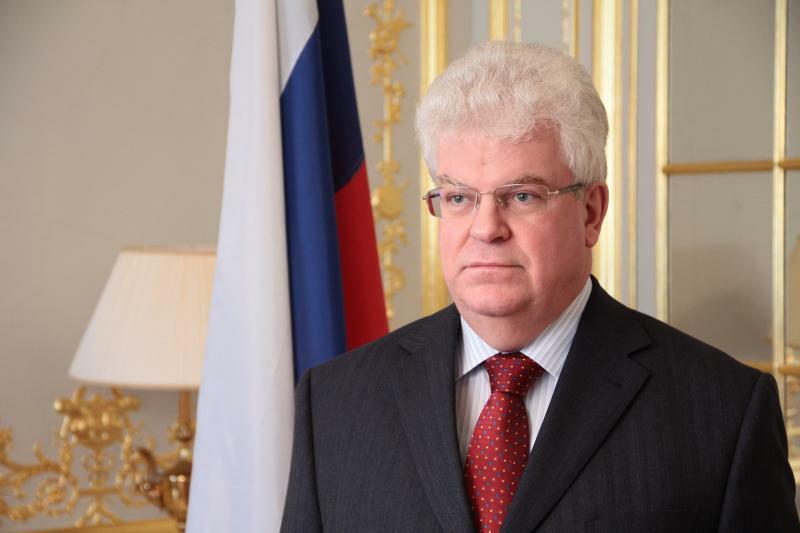 Vladimir Chizhov: The situation in Russia-EU relations remains abnormal. Although the volume of Russia-EU trade in the first three quarters of 2017 is by a quarter higher compared to the same period in 2016 our EU partners should have no illusions. As long as the EU perseveres with its erroneous policy of “sanctions”, or unilateral restrictive measures against Russia European business continues to run the risk of forfeiting their share of the Russian market. Companies from countries not aligned with Western anti-Russian restrictions are gradually replacing them. Moreover, due to EU economic restrictions the Russian side is not in the position to lift its retaliatory restrictive measures against the EU. Moreover, there is growing pressure from Russian producers to keep these restrictions in place that the Russian Government cannot ignore. Since the EU initiated the current crisis in Russia-EU relations it is up to our partners to take concrete steps to get our cooperation back on track. When they are ready they will know where to find us. As far as Nord Stream 2 is concerned I would like to remind you that this is a commercial project initiated neither by the Russian Government, nor even Gazprom, but by a consortium of major European energy companies. Efforts by opponents of this project to politicise it under various unrelated pretexts are clearly aimed at promoting their own commercial interests. For instance, the US Senate bluntly justified the need for the latest round of sanctions against Russia (adopted in August 2017) by the objective of promoting more expensive US LNG sales to Europe. I believe that reasonable EU politicians are well aware that in reality Nord Stream 2 is a pipeline that will benefit the interests of our European business partners and customers, contribute to energy security of Europe and the implementation of EU commitments under the Paris Agreement by providing relatively inexpensive Russian low-carbon gas via the shortest and economically viable route to EU countries. Deutsche Wirtschafts Nachrichten: Over the last years we have witnessed a raising diplomatic influence of Russia in the Near East. Which are the Russian security needs in this area? Do you fear spillover effects of a destabilized Near East on the Caucasian region? Vladimir Chizhov: The scope of your questions merits a book, not an interview, given the sheer scale of dramatic transformations the region has faced over the last years. Let me put it this way: many external players have been eager to play a role in the region, but often far from a constructive one. As for Russia, our priorities have always been clear: conflicts in the Middle East should be resolved through political means and on the solid basis of the international law, through an inclusive and peaceful national dialogue. What is vital is to prevent a vacuum of power and lack of state institutions in the region, since they are immediately filled by extremist forces of all kinds. This happened in Syria and in Libya, and prior to that in Iraq. Nowadays, I guess, not a single country in the world can claim that it has been free from spillover effects from the region. The prospect of foreign fighters with their ideology of hatred, returning to their countries of origin, be it Russia or Germany, poses a genuine threat. This is why combating terrorism remains essential for Russian as well as European and global security. Upon request of the Syrian government and in full compliance with the UN Charter Russia took a decision in 2015 to assist Damascus in eliminating the terrorist threat in Syria. The operation has been a success. ISIL, or Daesh, or however you would call it, has been essentially eliminated from Syrian territory. Hence, during his visit to Syria on December 11 Russian President Vladimir Putin ordered the withdrawal of the bulk of the Russian military contingent from Syria. Meanwhile we are steadily working on the political track in order to consolidate the positive trends on the ground. The joint efforts of Russia, Turkey and Iran within the Astana process helped to reverse the dramatic developments in Syria, creating conditions for bringing the lives of ordinary Syrians back to normal. The alternative would have been far sinister. Had the terrorists succeeded in Syria, the country would have become a regional springboard of terrorism, able to launch attacks across the whole world, including EU Member States. A political settlement through a comprehensive intra-Syrian dialogue on the basis of the UNSC Resolution 2254 is indispensable for regional security and stability. We will strive to promote dialogue as the only way to achieving lasting peace and stability in each and every war-torn country of the region, be it Syria, Libya, Yemen, and, of course, finding a solution to the Palestinian-Israeli conflict. We call on all our partners to follow suit.